I want to make clear at the outset that this post is not about “enhanced ebooks”, making something multiple-media out of a book that started as straight text. That’s a “want to do” problem that I’ve always been skeptical about and which I believe many, if not most, publishers are abandoning as “not commercially viable at this time”. Today’s ruminations are about moving illustrated books from print to digital, which many of today’s book publishers will find a “must solve” problem as the channels to reach consumers effectively with illustrated books — the bookstores — are diminished in number and power by digital change. This is presenting publishers with illustrated books on their list with what seems like an enormous opportunity. But it also presents some equally enormous challenges. It has been estimated by many that 25% of the print books sold are illustrated books. (I last saw this number in a slide from Michael Tamblyn of Kobo at our eBooks for Everyone Else conference in San Francisco on November 2d.) I am not sure what that means. Trade books only? And even if I did know what it means, I wouldn’t know enough. Books that are primarily pretty pictures, which don’t require much integration of the pictures and text (the minority of the 25%, one would assume) are a considerably simpler proposition to port to digital than a book with pictures and captions that have to stay with them or text that needs to be on the same page with a picture or a chart. A lot of work is being done to create new standards called HTML5 and Epub3 that will permit more faithful rendering of a publisher’s intentions through a web browser or an ebook than our current capabilities do. But there are two very big flies in the ointment that persist regardless of the technology. So while many publishers are largely seeing eroding print sales for straight text more than compensated for by ebook sales, there is no guarantee that the same will be true of illustrated books. The retailers selling the tablets and the publishers of illustrated books are excited about the possibilities. The development of HTML5 and its close cousin, Epub 3, promise to enable features and capabilities that heretofore were only available in apps to be delivered as ebooks. That’s a big deal because the app marketplace has two huge shortcomings: it doesn’t enable book discovery very well and it is loaded with very inexpensive products. Many publishers have come to the conclusion that selling apps isn’t a commercially-viable strategy going forward. They’d much rather have their IP on sale in an ebookstore. To be fair, others (like Callaway Digital Media) think apps work just fine commercially (although I’d add that Callaway does children’s content primarily, and that’s different…) and there are more and more tools being delivered to make app-building cheaper and more economical than it was before. But I still agree with the doubters. Getting ready for Digital Book World, we had a conversation in the past couple of weeks with a publisher that does illustrated books almost exclusively. He volunteered what we believe: nobody knows if the customer will buy these yet. And then he pointed to his enormous pain point: screen sizes. The currently-touted solution for illustrated books on devices is “fixed page layout.” You don’t “reflow” the text, which is the technique used for straight text. Reflowing changes the number of words on the page to suit the screen size and type size. That means you are changing the amount of content that appears on the screen. If you did that for illustrated books, pictures and captions wouldn’t stay together and things you planned to be on the same page might very well not be. So you deliver a “fixed page” to the device, just like you do to a printer. The dominant color tablet device has been the iPad, which has a 10-inch screen (this is a diagonal measurement). But the new tablet-lites have seven-inch screens. This cuts the viewing area by about 50%. There is really no way to present a “page” that combines text and pictures that works on both screen sizes. If you go from 10-inch to seven, the type will be too small to read. If you go from 7-inch to ten, the white space surrounding the page will be ridiculous, or the type will be ludicrously large. And I haven’t mentioned the fact that the iPhone has a 3-1/2 inch screen. Imagine the fixed page for a 10-inch iPad on that! Although tools exist that make it relatively quick and easy for a designer to see the page on the right screen size and move things around a bit, that doesn’t really solve the problem. An illustrated book publisher would really have to design and lay out each book at least twice (for the 10-inch and 7-inch screens) and possibly three times (to get the iPhone screen too.) Then those would be three different files, so you couldn’t actually move across your devices and have them auto-synch the way Kindle, Nook, Kobo, and Apple enable you to do now for straight text. Would you get the files for all three sizes when you made the purchase? There is a way to create the book for different sized screens with the same number of pages, which would be to use more area for the page than will fit on the screen vertically, and then scroll down to get more. Scrollmotion introduced this technique when they were making simple ebooks as a way to make ebook pages match printed book pages. But even employing that technique wouldn’t really save the illustrated book publisher any work. You’d still have to redesign each page for the particular device, and, anyway, I’m one reader who found I didn’t like ebooks that make you both scroll and turn. 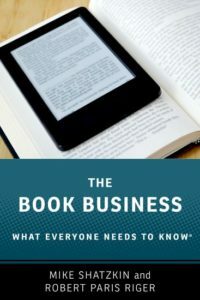 One prominent ebook executive I know told me that there have been about 1000 illustrated ebooks available until a month or two ago but that the conversion houses in India have recently been working overtime to deliver more for the plethora of new tablet and tablet-lite devices hitting the market . Now they’re cranking out approximately 1000 illustrated ebooks a week so that by the end of the year, we might have 10,000 illustrated ebooks to choose from on many of the platforms. That’s still paltry, compared to a million or more straight text ebooks, but the sudden leap in illustrated ebook titles available and screens to read them on must, one assumes, generate a real sales increase. Maybe we’ll start finding out what works and what doesn’t. This same executive, working for one of the major ecosystems, is trying to help publishers set their priorities for what books to convert. (Much of the conversion expense right now is being borne by the device-maker-retailers, so they get to call some shots.) But meaningful data points are so scarce that they offer very little guidance. As bookstore shelf space disappears, the urgency of solving this problem grows. The sales of illustrated books have reportedly been going up in the bookstores, which is good news for as long as it lasts. It makes complete sense that retailers would emphasize the things that seeing and touching make you more likely to buy. But I’d be concerned that even the sales of illustrated books will suffer as more and more of the straight text consumers find what they want without visiting a bookstore. And a closed bookstore doesn’t sell any illustrated books at all. I learned something interesting lately from a travel book publisher with a robust web presence that might be a useful clue. I was told that photo albums are a big new moneymaker for them. People who are traveling to Paris love the opportunity to look through a series of photos of Paris. Each photo is a new screen with new ads on it. That is creating some really easy additional revenue for this publisher’s web sites. I think that a “500 photographs” series of ebooks could also do very well, particularly with the digital ability to present them in sequences determined by metadata. If 500 Paris pictures were properly tagged, I could see “Eiffel Tower”, “churches”, “19th century architecture”, and “Champs Elysee” pictures grouped together by clicking on a menu. And that kind of a book, with no associated text necessary (“captions” could be on a jump screen), could be designed once for all size devices. Of course, whether it would have a commercially-viable print counterpart is yet another question. I have concerns that converting how-to books to digital success is going to be a very frustrating experience. The ebook will not deliver the printed material well, unless the same care is exercised optimizing the content to each different digital screen as is put into designing a book. And there will be so much more the ebook could do with video and audio and animation and interactivity that would make sense for most subjects that “converting” a book will just leave too much opportunity behind. But publishers have to try. With millions of devices in consumer hands, some illustrated ebooks are going to sell impressive numbers. We saw what happened with “The Elements” when the iPad came out (even if comparable success hasn’t seemed to happen for any other content-based app product since). Creating a truly interactive book-type digital experience has been the objective of countless thousands of high-quality person-hours for two decades, since even before the CD-Rom era. Nobody has cracked the code yet, by which I mean nobody has come up with a formula which will repeatedly satisfy consumers so that a publisher can approach the marketplace for digital content with something approximating the confidence that it does with straight text books. As an industry, we’re about to throw a lot more time and money at the problem. Maybe we’ll find an answer. Or maybe there isn’t one.